If you’ve read the Indigo Skies series already, then you might not need this week’s top ten. Today we’re focusing on the Top 10 Reasons Why You Should Read The Indigo Skies Series. So sit back and relax whilst I count them down and, if you think I’ve missed any, don’t forget to add your comment at the end. 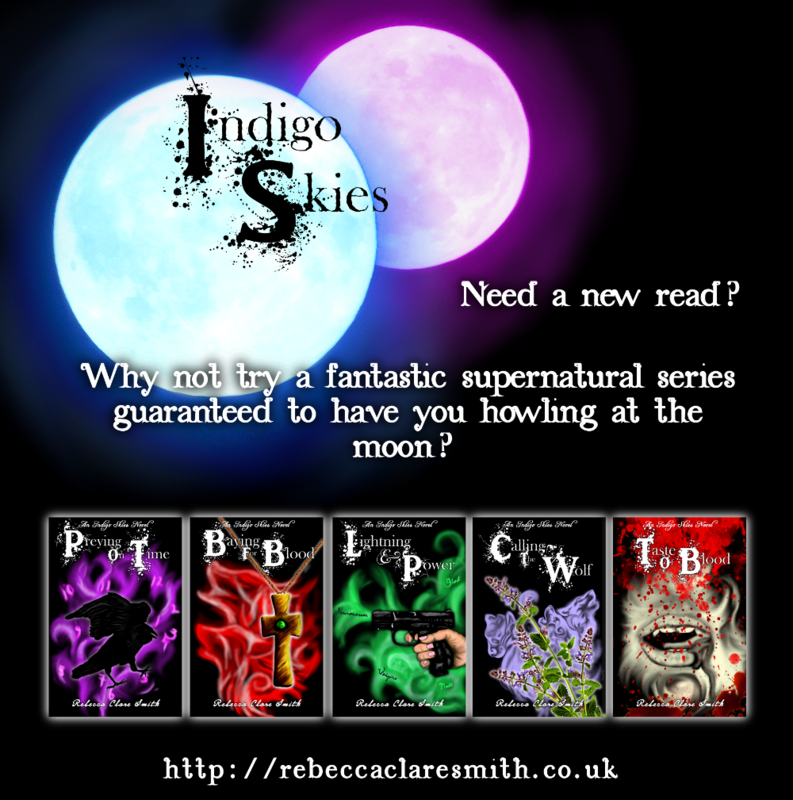 – The Indigo Skies series isn’t just a fantasy book series centred on beings with supernatural abilities. Oh no. It’s more than that. It’s set in the future where there’s not just a small section of the population with supernatural abilities. Like X-Men, the human race has evolved. All of them. 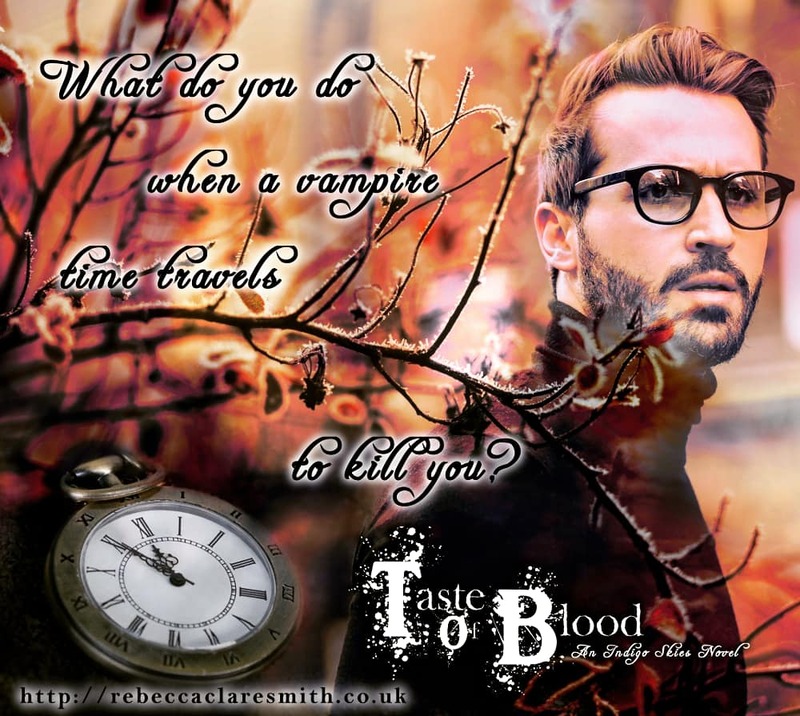 But where you would normally just get supernaturals, Indigo Skies serves up some time travel, too. 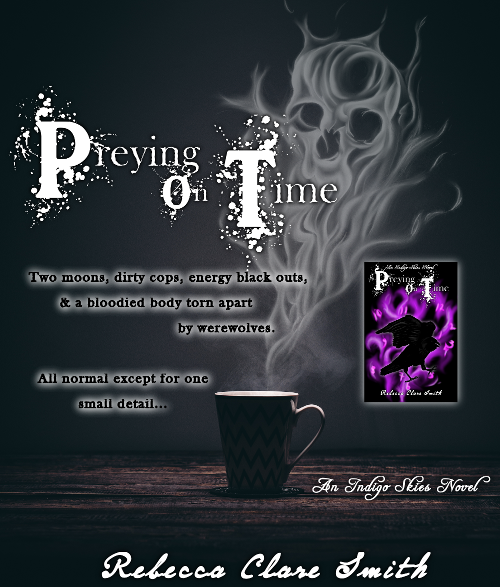 Preying On Time, the first book in the supernatural series, focuses on travel to the future, whilst Taste Of Blood, my newest dark fantasy release, centres on time travel to the past (our present). – Who doesn’t love an array of great characters? Whilst Indigo Skies does mostly centre on ex detective and private investigator Violet Eonsen, there’s also her brother, Logan, and time traveller, Simon, to consider. After Preying On Time, the rest of the Indigo Skies series is written in first person narrative. And that doesn’t just mean Violet. We get to see things from both Simon and Logan’s perspectives. And maybe even a few others, but I won’t spoil that surprise for you. – What kind of supernatural stories do you like? Because Indigo Skies can cater for just about every one. You can read your heart out about the various ghosts, vampires, necromancers, and werewolves shaping this world, but don’t forget the nekojins, mages, seers, and more! The series doesn’t just focus on one supernatural type. Instead it mingles between many different races, all of which you can explore for more than five books! 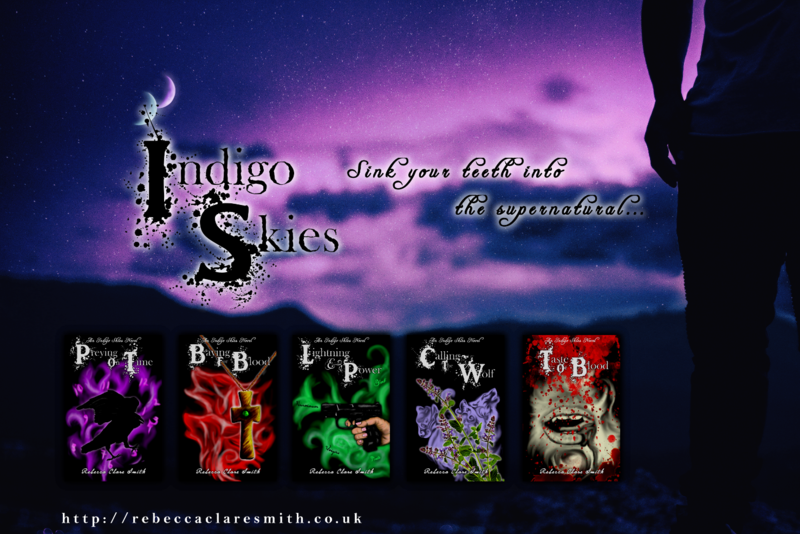 – Not only is the Indigo Skies series a great fantasy series, it’s a set of books that can be read as singles. Each novel, though connected through timelines and characters, can be read as a stand alone story. That means you don’t have to worry about picking up a copy of the later novels first – you can still get stuck in! – Not all of the books in this series contain romances, but, when they do, they get steamy (just like my ever popular Survival trilogy). Now, I’m not saying that’s a reason to read these books, but who doesn’t like some hot werewolf or vampire action?! – It isn’t over, yet. 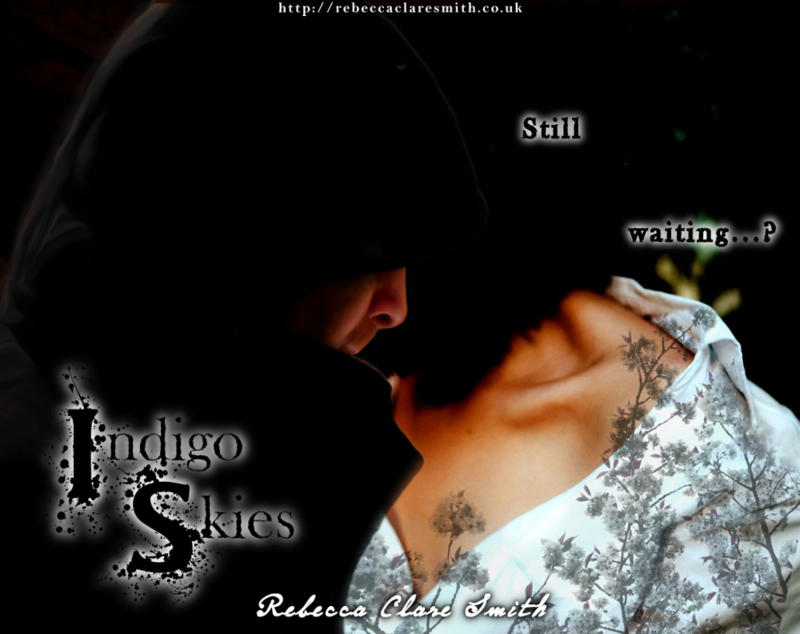 A teaser for Those Who Wait (an Indigo Skies novella). 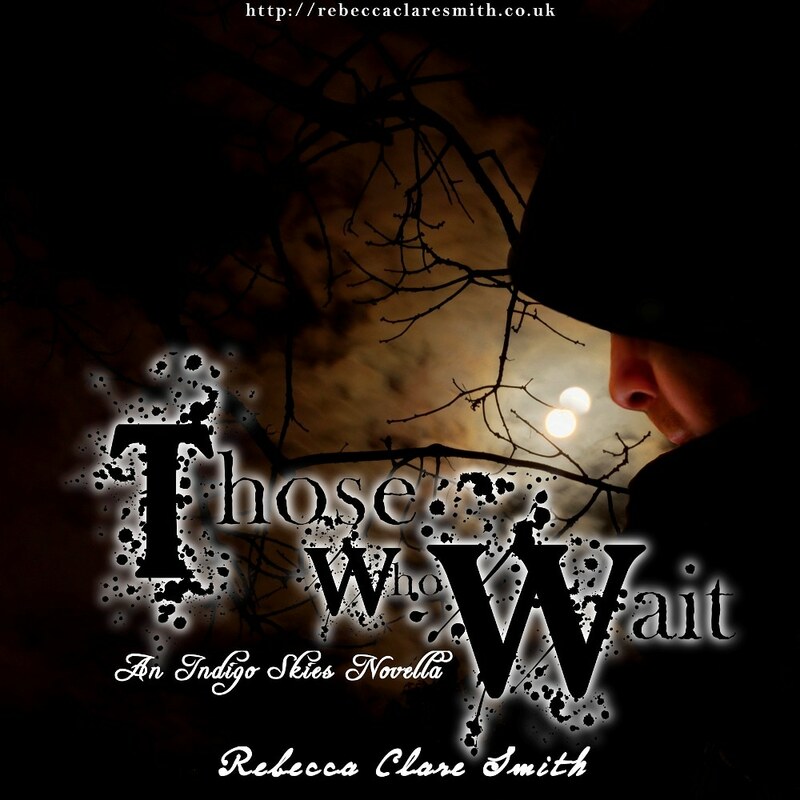 We’ve recently passed the fifth book (Taste Of Blood) mark and I’m currently writing a novella, Those Who Wait, which will explain a few things as it’s set before the first book, Preying On Time, but also after the latest release, Taste Of Blood.Once that’s complete, I’ll be starting out on the next two books in the series. I have so much more I want to write about the Indigo Skies world! – As far as protagonists go, Violet is one of my very favourite to have written. I say ‘written’, but really she just does what she likes. She’s confident and doesn’t take stick from anybody. Half necromancer and half mage, I dreamed her up more than eight years ago whilst taking a tedious and unfortunately routine hour bus ride. I was nineteen and I never thought I’d actually see the day she would exist inside a paperback on my bookshelf. No. 2 : Baying At 99p/99c! – All the way up at reason number two is this beauty! 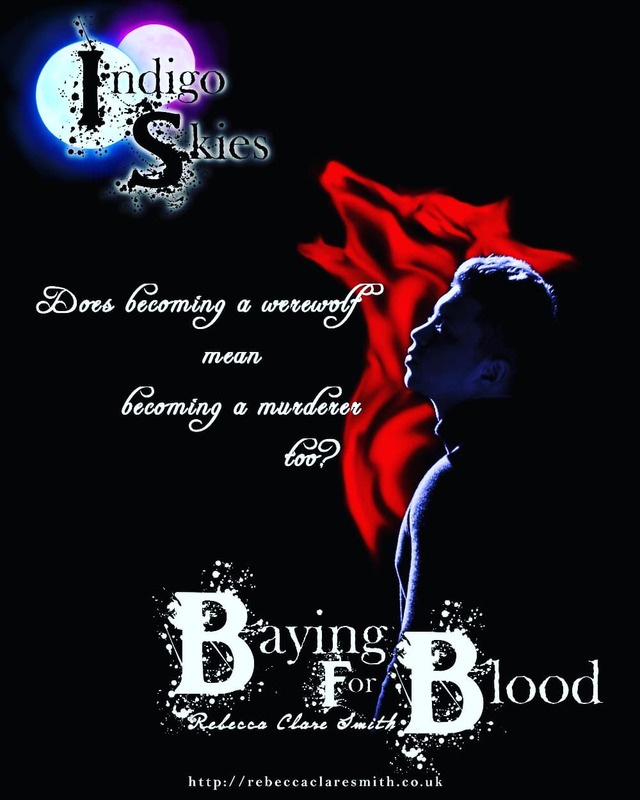 Right now you can grab the ebook/kindle copy of Baying For Blood at the ridiculously cheap price of 99p/99c, depending on where in the world you are. It’s the second book in the series. No. 1 : And One Free! – If you haven’t read the first book in the Indigo Skies series then now you have no excuse. The ebook/kindle copy of Preying On Time is currently free everywhere but Amazon (because they’re pesky and no longer allow free books on their charts). So get your copy and dive in to the Indigo Skies world today! – This weeks conclusion is simple: read the books and find out the ten awesome reasons to enjoy this awesome fantasy series for yourself. 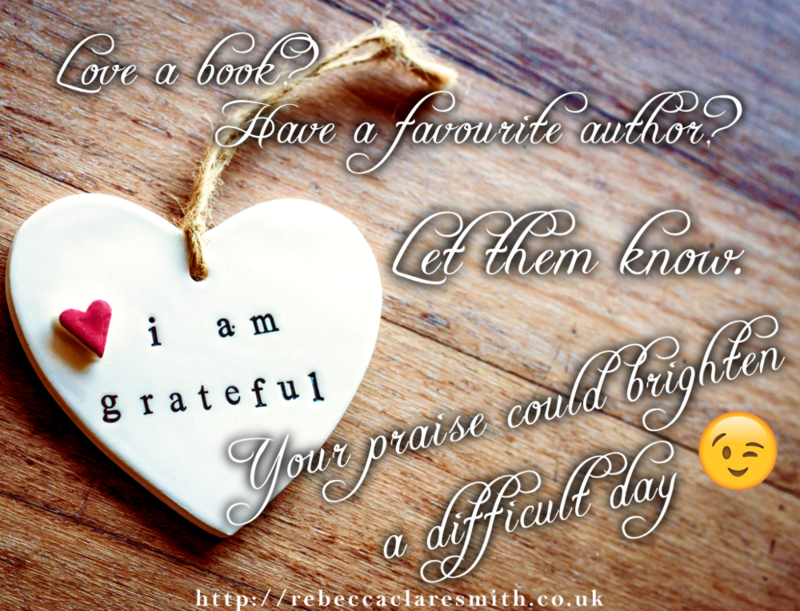 …And let me know how much you enjoyed them!